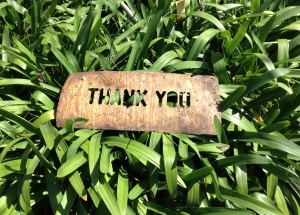 Gratitude is a word that almost every teacher, every wellness magazine teaches. Osho called the gratitude the shortest route to miracles. Deepak Chopra called gratitude the language of the heart. The practice of gratitude not only makes us feel better but life looks so much brighter. Yet how does one practice gratitude? We love the pleasure, the goodies, the stylish car, the exotic holiday and it’s easy to be grateful for all those good things in life. But what about the shadow parts of us? What about the parts of ourselves we run away from? What about our perceived inadequacy? 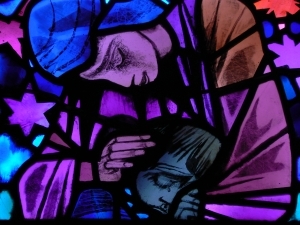 What about the loss of a loved one? A question you may have but what’s there to be grateful about these so called negative things? A closed mind, a closed heart is the cause of suffering says Pema Chodron. Running away from pain keeps the focus on pain. Running away from rejection will keep one in the cycle of rejection. A better solution is Compassionately accepting every part of yourself and loving it as if it’s the most beautiful thing that exists. 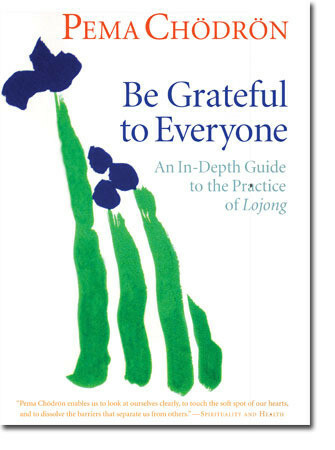 Be Grateful to Everyone by Pema Chodron is a practical guide to the practice of Lojong. Accept with compassion and all of it dissolves. Lojong is a system of mind training written by the Indian sage, Atisha, composed the text later introduced in Tibet. Worth mentioning is Pema Chodron is one the prominent authorities of Lojong now. Be Grateful to Everyone is an absolutely amazing album which teaches you the art of gratitude in the compassionate voice of the Pema Chodron. 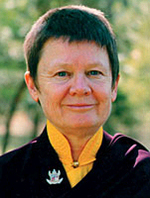 Pema Chodron voice is articulate, compassionate, even jovial at times. She uses humor in perfect timing to keep the listener alive. A total of seven hours in seven parts you may want to savor each part of the album, let Pema Chodron’s words seep in word by word in her compassionate voice. I wish I had the words to do justice on the insights you get once you practice what Pema Chodron teaches in this. One of the high points I enjoyed is part three of the album. Breathe in suffering, the and breathe out blessings. Pema Chodron makes you do just the opposite who what most teach. Try this exercise and see how expansive you become. Be Grateful to Everyone is one album every spiritual practitioner must have. Be Grateful to Everyone by Pema Chodron is one of the gems I feel immense gratitude for it’s very existence. It’s underrated, yet it is one album that can make a huge difference to your life. A definite recommendation.